Obituary – Bourlon, Laura Matilda (Gorath) « Perry High School Alumni Association, Inc.
Red Hots 55-58; All School Revue 56-57; Assemblies 55-56, 57-58. 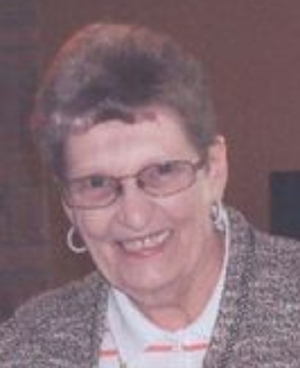 Laura M. Bourlon, 69, of Van Buren, Arkansas died on Friday, July 9th in a local hospital. She was a homemaker and a member of First Baptist Church of Van Buren. She was a previous employee of Kay Chair Manufacturing and the Van Buren Public School System. She was preceded in death by her parents, Fred and Junna Anderson Gorath and by a son Joey Bourlon. 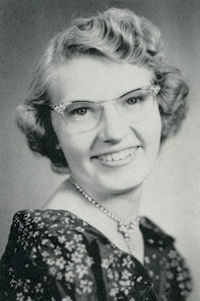 She is survived by her husband, Billy of the home; two daughters, Jennifer Lamproe of Uniontown, AR and Debbie Drew of Harrah, OK; three sons, Pepper Bourlon of Rudy, AR, Toby Bourlon of Uniontown and Terry Bourlon of Van Buren, AR; one sister Ester Arnold of Watonga, OK; on brother, Ernest Gorath of Perry, OK; eighteen grandchildren and fifteen great grandchildren. Pallbearers were Justin and Jarrod Bourlon, Jet and Spud Turner, Richard Boardman and J.J. Drew. Funeral service was held Monday, July 12, at 10:00 am at Ocker Memorial Chapel in Van Buren with Rev. Scott Maze officiating. Burial was at Gracelawn Cemetery in Van Buren.